Eva Kalicinsky was born and raised in Winnipeg Manitoba. She studied optometry at the University of Waterloo and graduated on the Dean’s Honour List. After completing her optometry degree, Eva moved to British Columbia and practiced in White Rock for two years. 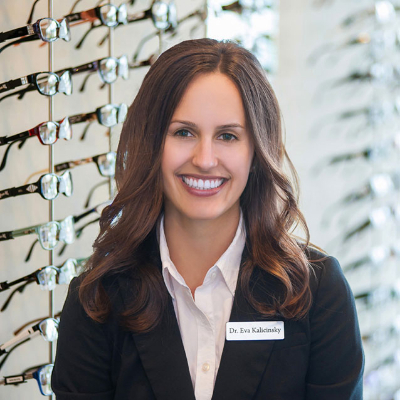 Shortly after, she decided to open her own clinic, Brookswood Optometry. Eva’s professional interests include pediatrics, ocular health and contact lenses. 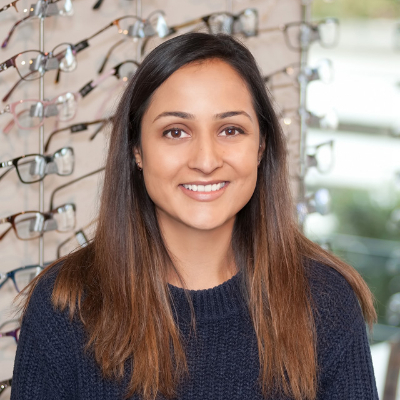 She is a member of the British Columbia Association of Optometrists and the Canadian Association of Optometrists. Eva enjoys spending her free time playing tennis, running and biking. Dr. Kalicinsky welcomes patients of all ages. 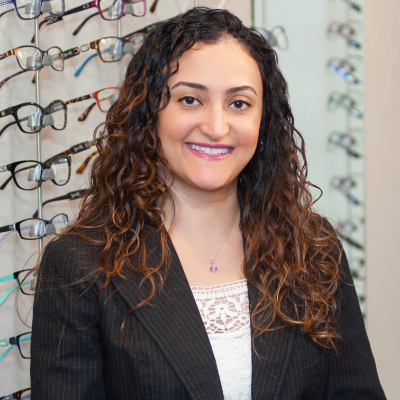 Dr. Forouzandeh Alavi joined Brookswood Optometry in December 2016. She attended the University of Washington in Seattle on a full scholarship where she completed her bachelors of science in Biology. Dr. Alavi obtained her doctor of Optometry degree from the Illinois College of Optometry, graduating with clinical honours. She practiced in Chicago until she met her husband and subsequently moved to British Columbia. In her spare time, Dr. Alavi enjoys hiking, camping and trying new restaurants. Dr. Alavi is also fluent in Farsi and Spanish. At our Langley eye care clinic, we handle everything from adult and children’s eye exams and hard-to-fit contact lenses, to eye emergencies, treatment of eye diseases and co-management of eye surgery such as LASIK. Contact Brookswood Optometry Right Away! Please call our office at: 604-530-8802 for further instructions. Use your best judgment on urgency, if you feel the need to find the nearest emergency room.